I die over the style of Bradley from my latest blog obsession, Luella & June. 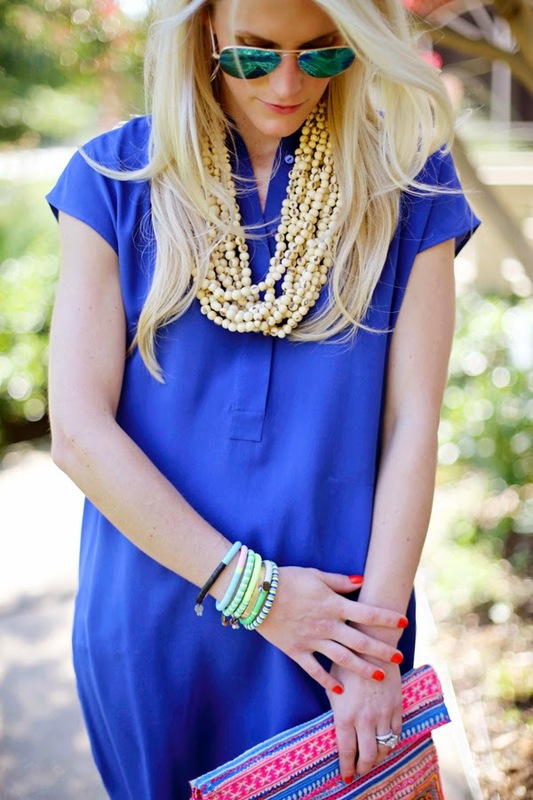 She mixes classic, structured items with quirky accessories, keeping her outfits fun and fresh. Bradley's looks consist of pieces from all different price ranges, which I really admire. And I will forever be jealous of her hair... I mean seriously is it possible to have hair that perfect?! 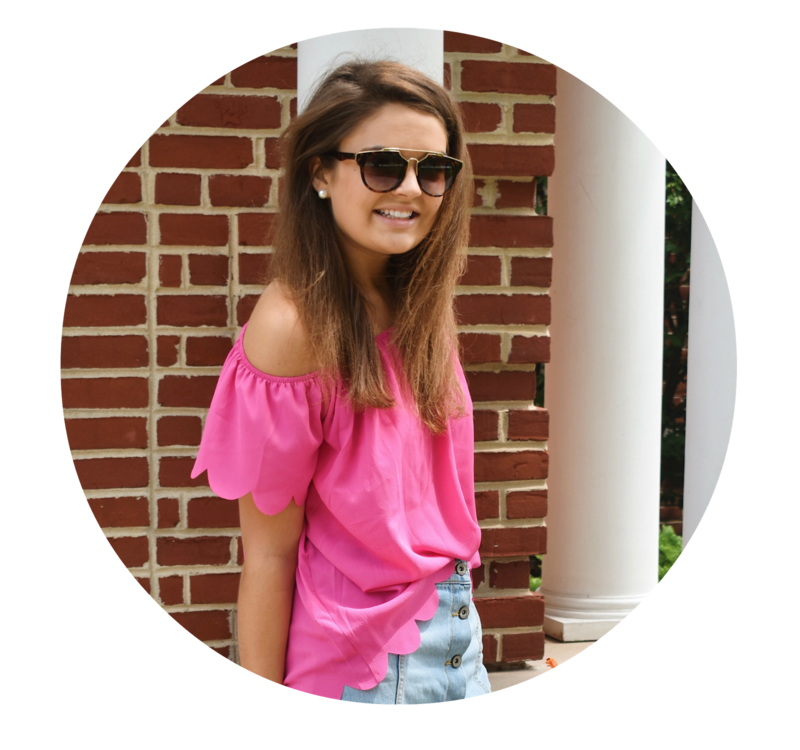 Check out Bradley and her blog right here. Are you a fan of her looks? I love how she mixes patterns! 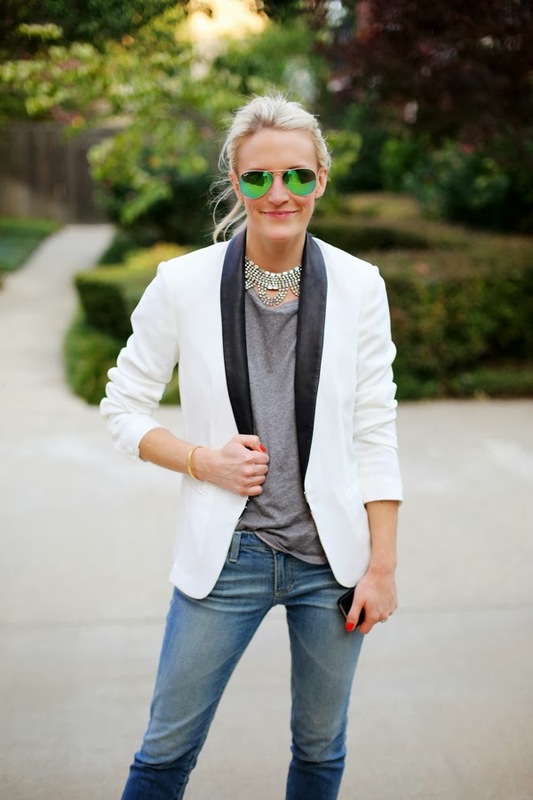 I like how she can really dress up a simple t-shirt and jeans! I love her style! And I'm literally thinking about splurging on the sunnies too!